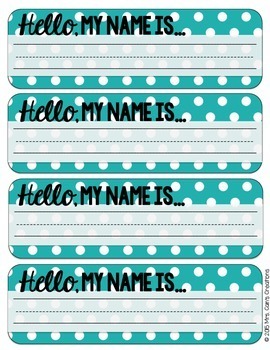 These editable polka dot desk name tags will be the perfect addition to any polka dot-themed classroom! These name tags come in 8 different colors, so no matter what your color scheme is, there should be a color to match! 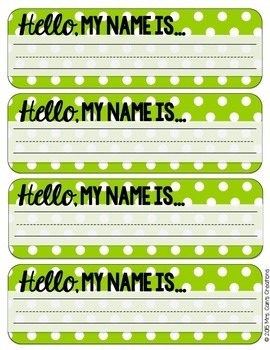 Just print, write your students' names, and attach to their desks! If you don't want to handwrite them, you can type them out on the editable version and then print (PowerPoint is required for editing). 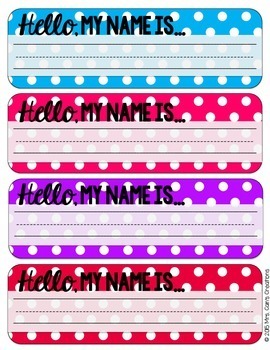 Looking for a whole bundle of polka dot-themed classroom decor?! Look no further than my Polka Dot Classroom Decor Mega Bundle! ***This product is included in my Polka Dot Classroom Decor Mega Bundle! login). Beside each purchase you'll see a Provide Feedback button. Simply click it and you will be taken to a page where you can give a quick rating and leave a short comment for the product. Each time you give feedback, TPT gives you feedback credits that you use to lower the cost of your future purchases. I value your feedback greatly as it helps me determine which products are most valuable for your classroom so I can create more for you.